With a concert for every palate and every budget occurring during the summer months around Kansas City, even the pickiest music snob can find a live music venue or artist to love this summer. Head out to Cricket Wireless or the Sprint Center for big-name acts, or just chill in Grinder’s backyard, which is home to the KC Crossroads music venue, to experience smaller names and a more intimate atmosphere. Spend a Friday evening in the Crossroads and wander amongst all the great food and art KC has to offer. There will oftentimes be live music as well, and many events going on do not charge for entrance. Eat at one of the restaurants located around the Crossroads, or try out a food truck, whichever fits your style. Though the Royal’s season may be wrapping up soon, there are still plenty of opportunities to cheer on a KC team. 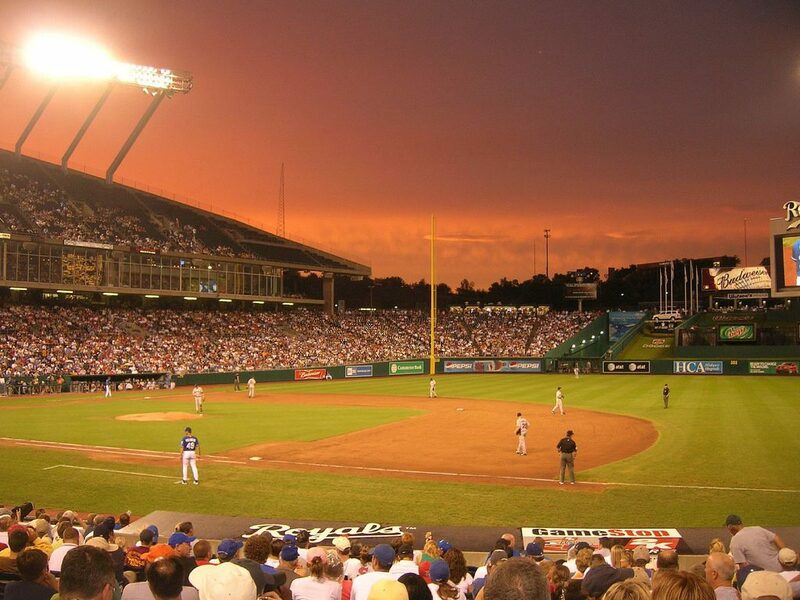 Head down to Sporting Park and catch one of the extremely popular Sporting Kansas City soccer games, or check out a T-Bones game for a more small-town baseball vibe. Spend a Saturday morning this summer browsing through the fresh, local produce found at stands all around the City Market farmers market. From veggies to fruit, to eggs, cheeses, and baked goods, City Market offers buyers the chance to support local growers and to know exactly where their food came from. Sometimes there will even be performers in the area! City Market also offers scheduled cooking classes and yoga twice a month. Kansas City offers great music, but some may not know the city also has a thriving theater scene. Head out to Shawnee Mission to catch shows running all summer at Theater in the Park, and make sure to bring a blanket! For those who are looking for something more classic, try visiting the Heart of America Shakespeare Festival, which puts on a different play every year, located right beside the Nelson-Adkins Museum in a beautiful outdoor venue. Kansas City isn’t known for shopping, but it really should be! From the high-end shops found at Country Club Plaza to the boutique and niche shops all around the city, you could probably spend the entire summer shopping, and never set foot in the same store twice. All around KC, all throughout the summer, you can find people getting together, hanging out in parks, and enjoying the weather. While it isn’t really acceptable to join a stranger’s family cookout, that isn’t what this is. If you ask around, you’ll find someone who knows someone who knows of one of these unannounced KC gems. One such gem is Drum Tribe, held in Loose Park every Monday night, weather permitting. Bring a blanket and your favorite boxed wine, and relax to the sound of the drummers, throw a Frisbee, or explore the nearby Rose Garden. KC has one of the most diverse arrays of restaurants that can’t be found anywhere else in the world. Skip the chains this summer and support local restaurants, especially those with beautiful outdoor seating areas that let you soak up the sun. Try wandering Brookside or the Crossroads Art District for unique flavors that call KC their one and only home. With the Boulevardia Beer festival in its second year here in KC, there is plenty of local beer to be sampled. Take a tour of the Boulevard Beer Company, which started its roots in Kansas City and hasn’t left. We suggest sampling the beer made in partnership with Kansas City chocolatier Christopher Elbow, Boulevard’s Chocolate Ale! When it gets too hot, or you’re dealing with younger kids, check out one of the many theaters in the KC area. From old vintage-esque cinemas to newer big names like AMC, there’s probably a theater close to you no matter where in KC you go. Many theaters even offer daytime movies for low prices that cater to younger children on summer break! For the adults, some theaters have started serving food and drink straight to your seat. For a 21 and over movie experience, you can try out AMC 30’s MacGuffins, which serves alcohol during the show.